For centuries the Japanese have had individual families own and operated the fishing industry along the coasts of the Japanese islands. 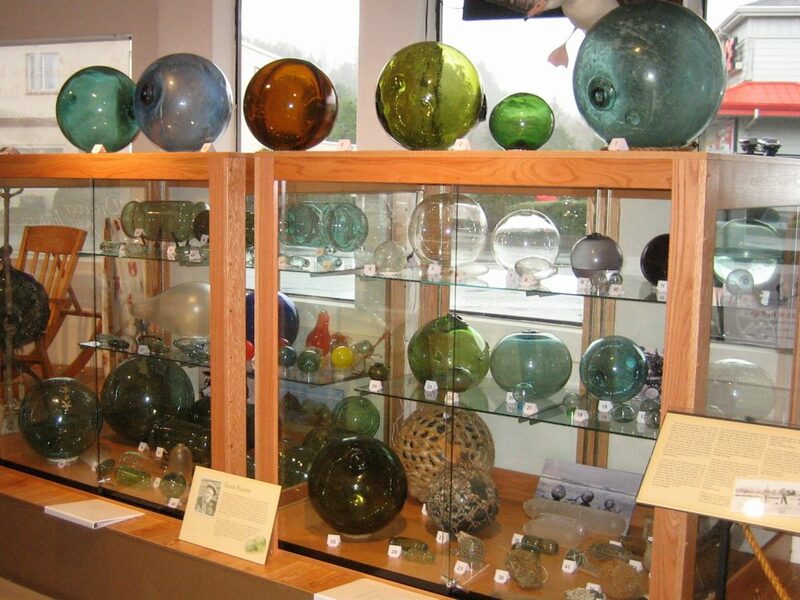 This exhibit displays the various sizes, shapes, colors, and methods used in glass floats developed for the fisherman. We are very excited to announce the acquisition of a major collection of American made glass-fishing floats that are now on exhibit. Dr. Nick Simpson acquired this rare and varied collection over many years. He has donated it to the museum in the hope that it will be shared with this community, with our many coastal visitors and especially with glass float collectors and enthusiasts. While many coastal residents are familiar with Japanese glass fishing floats, most aren’t aware that glass fishing floats were also produced in the United States back in the 1930’s and 1940’s. In the early 1930’s, American fishermen were using “Made in Germany” floats off the West Coast of the United States. The Northwestern Glass Company of Seattle, WA, established in 1932, saw a demand for these floats and began duplicating them in 1933. They made them by hand, rather than with machinery. After a short period of time, they discontinued this due to the small volume needed. Then, in 1942, there was a rapid development of the shark fishing industry due to the demand for shark livers as a vitamin source. 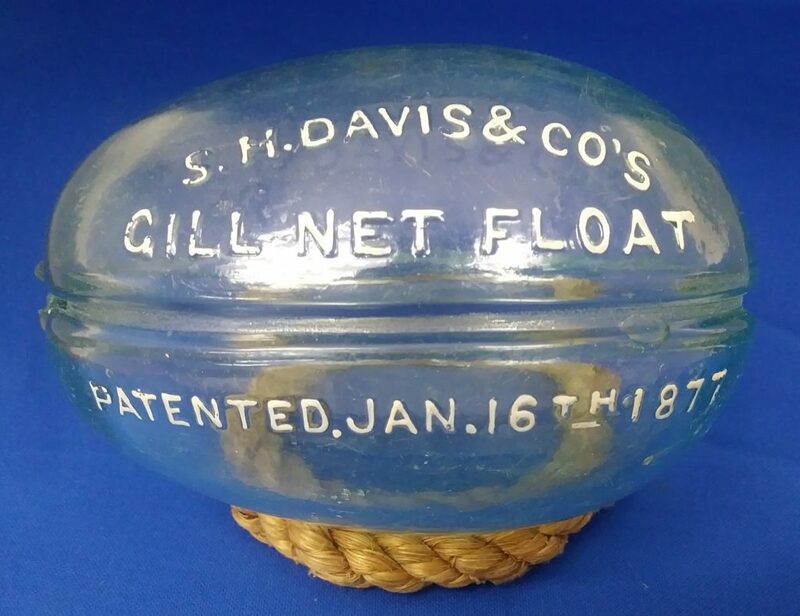 The fishermen used gillnets that were submerged to considerable depths, creating a need for a large quantity of floats that could be submerged and withstand high pressure. 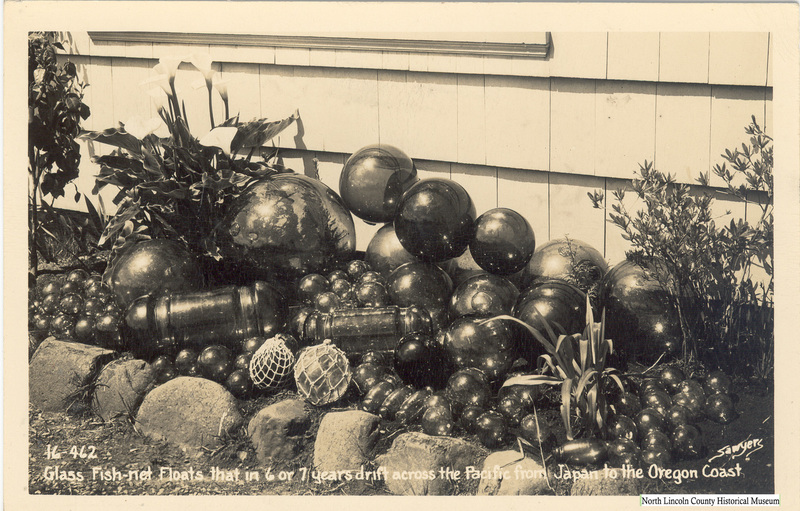 The Northwestern Glass Company developed an automatic manufacturing and sealing system for floats, which increased production. Ro Purser was born in Fairbanks, Alaska (territory at the time) in 1949, and grew up on Humboldt Bay, in Arcata, California. After graduating high school in northern California in 1967, he took a job as a salmon troller in Washington. After seeing glass blowing in Berkeley, California, he was inspired to become a glass blowing artist. He continued to work in the fishing industry until he was able to afford to build his first glass shop in 1970 near Arcata in McKinleyville, California. This was a revolutionary process, because virtually only large glass factories and university glass blowing facilities existed in the United States. This meant that he had to create his own equipment and weld furnaces, all from scratch. He was completely self-taught with the nearest glass blowing shop being 300 miles away. He learned to cast aluminum and bronze molds with his own foundry by 1972, which allowed him to make the molds necessary for blowing fishing floats. He continued to work on and off in the fishing industry and in 1977, when the fishing fleet needed long line floats, they came to him to make them, and the rest is history. He pioneered making fishing floats from recycled glass, created beautiful fishing floats from many colors, and used many different creative stamps throughout the late ‘70s-early 80’s. Ro Purser made beautiful glass artwork throughout his career and was an American glass fishing float pioneer. 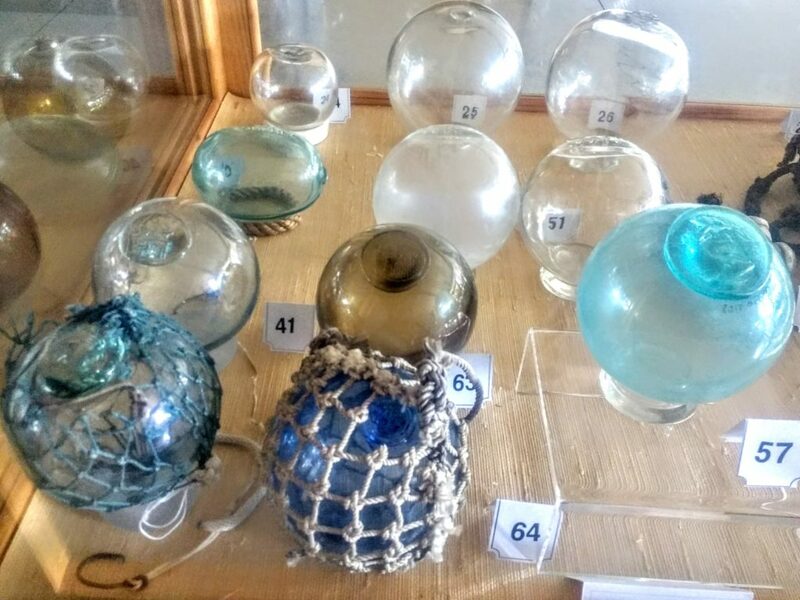 The North Lincoln County Historical Museum is excited to display some of his wonderful glass fishing floats from the Nick Simpson Collection.